Indiana law generally requires messages connected to official business be kept for public information. 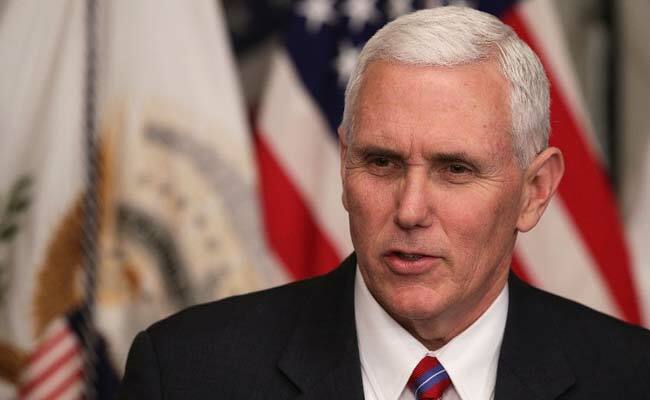 Washington: US Vice President Mike Pence used a private email account for matters of public business as governor of Indiana, US media reported Thursday. Emails obtained by that state's daily Indianapolis Star newspaper showed that Pence used the private account -- which the paper said was hacked last summer -- to at times discuss "sensitive matters" and "homeland security issues." The Star, which obtained the emails in a public records request, said that in response to its investigation the vice president's office confirmed that "Mike Pence maintained a state email account and a personal account." "As Governor, Mr Pence fully complied with Indiana law regarding email use and retention," his office told the paper. "Government emails involving his state and personal accounts are being archived by the state consistent with Indiana law, and are being managed according to Indiana's Access to Public Records Act." As US President Donald Trump's running mate on the 2016 campaign trail, Mr Pence criticized the Republican's rival Hillary Clinton for using a private email server for official communications -- a scandal that haunted her throughout the race. The reporter who broke the story, Tony Cook, told CNN that Mr Pence's spokesman had "downplayed any comparisons to Hillary Clinton's use of a private email server and email account." Indiana law does not bar public officials from using personal email, but generally does require that messages connected to official business be kept for public information purposes. Mr Pence's office told the paper that his campaign had taken steps to allow outside counsel to transfer personal emails dealing with public business to the state. Former Democratic presidential candidate Clinton was dogged throughout her White House campaign by her use of a private email server while secretary of state. She has said FBI director James Comey played a part in her campaign loss, claiming that the agency's re-opening of a probe into her email use broke the momentum towards victory.